With the way some guys train, you'd think the bench press is the only way to train your chest. But, if you're really looking to improve size, muscle function and strength you need to target the pectoralis major, the primary chest muscle, from all angles. This is what the decline dumbbell fly will do for you. 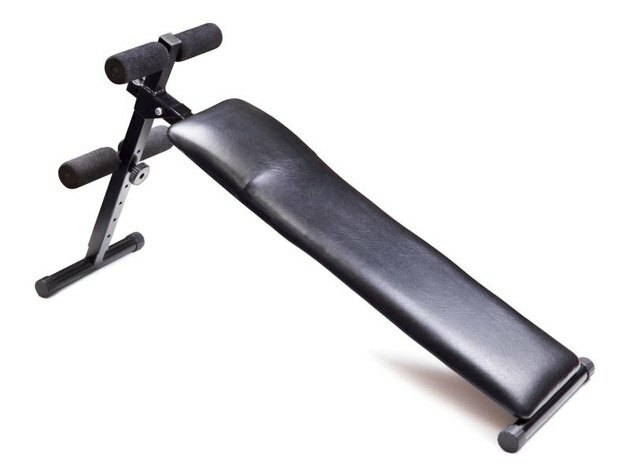 While the bench press mostly attacks the middle chest and incline presses and flyes do wonders for the upper chest and front of the shoulders, decline flyes give oomph to the lowest parts of your chest muscle. To get the most thickness and power from a muscle, you should develop it from all sides. Building the lower, or sternal, portion of the chest creates a defined muscle that distinguishes it from the abdomen. The lower portion of the pecs are also a source of great strength; train them to improve your overall performance on the iconic bench press. Of course you're working the lower portion of the chest, but muscles work in synergy. The synergists, or helpers, in the decline dumbbell fly are the upper chest — or clavicular region — biceps and front of the shoulders, the anterior delts. The triceps, forearm and wrists also perform a supporting role, acting as stabilizers. They keep your form in good standing so the exercise trains your muscles and doesn't injure your shoulders. Prevent injury to the shoulder, specifically the rotator cuff, and ligaments by performing the decline dumbbell fly with good form. Grab a dumbbell in each hand and lie on your back on a declined bench. Hook your feet into the foot pads or rollers. Feel your low back press into the bench and keep it there for the duration of the set. If you're using very heavy weights, have a spotter hand them to you once your body is in position. 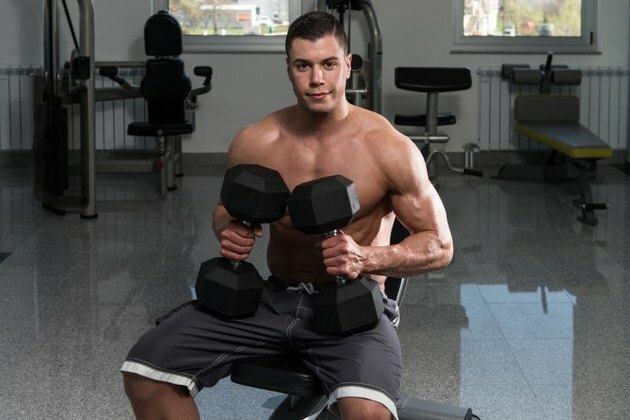 Extend the dumbbells above your chest. Turn the palms to face each other and your elbows to the sides of the room. Soften the elbow so the joint isn't locked. Open your arms to lower the dumbbells toward the floor. Keep the elbows from bending more, holding them in a fixed in a soft, but mostly straight, position. When you feel a stretch in your chest muscles, pause for a second. Arc the dumbbells back together above your chest as if you're giving someone a hug. This completes one repetition. Tips: Use moderate weight until you get the hang of the movement, especially in the declined position. You may find that you can lift more weight in a decline fly than you can in a flat bench fly. This is because the lower portion of the pectoralis muscle provides a lot of power. What Kind of Push-Ups Work the Upper Chest?